The goal was simple: to remain in the back of your mind and the front of Google if a medical emergency should arise. Elite Care 24 Hour Emergency Centers provide all the services offered at the emergency room plus the benefit of shorter wait times, convenient locations, and superior service. 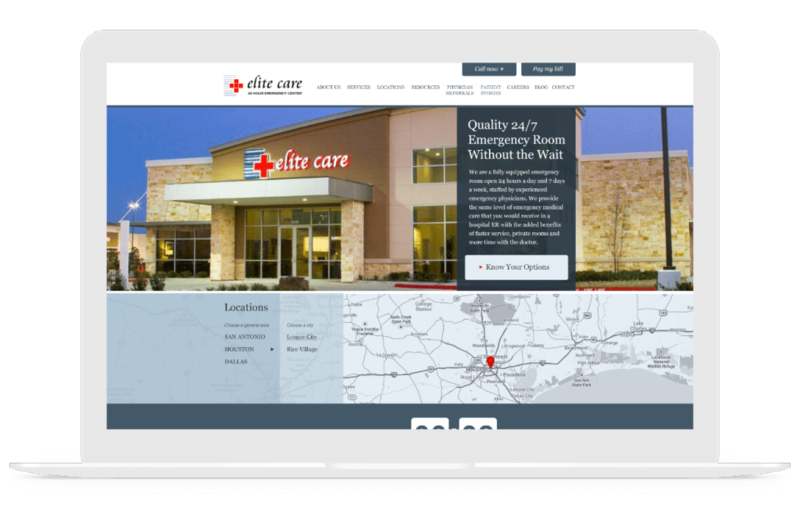 With locations throughout Dallas, San Antonio, and Houston, Elite Care required a targeted web presence and ongoing digital marketing campaigns to strengthen brand awareness, educate users about the benefits of emergency centers, and build authority throughout the Texas Triangle. No matter the project or campaign, we believe that strategy and research drive results. We value our time spent exhaustively researching Elite Care, its offerings, the competitive landscape, and target keywords and customer personas. This scrutiny leads to well-defined, accountable content architecture, targeted design direction, and ongoing search engine optimization. 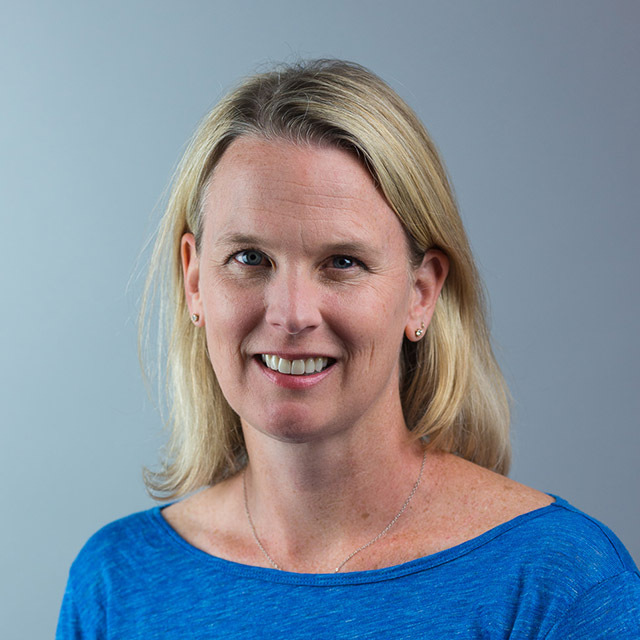 Creating and adhering to comprehensive messaging guidelines not only demonstrates authority, professionalism, and consistency but also establishes trust and credibility with patients. Whether it’s a blog post, calls to action, or descriptions in local listings, we communicate clearly while preserving specific voice and tone guidelines. In the end, multiple writers and content producers communicate as a single, unified voice—able to adapt their tone to the context of patient circumstances. Because Elite Care ranks well organically, we focused resources on pay-per-click (PPC) advertising to improve conversions and lead quality. We aggressively targeted mobile and localized ad bidding, slicing each target city into sections to ensure each location excluded advertising in areas closer to a neighboring emergency center. 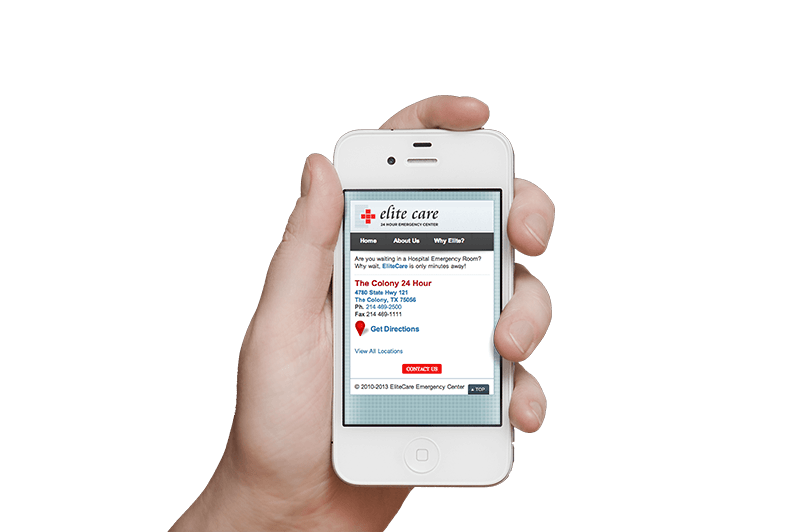 Elite Care is a testament to the success of routine blogging. During the past few years, by writing weekly resourceful, well-researched articles containing strategic internal links, we’ve grown from only a few dozen indexed keywords to over one hundred, which drives an immense amount of traffic and considerably boosts Elite Care’s organic search rankings. While we don’t manage Elite Care’s daily social presence, we do provide social setup, design consistency, and account audits. Originally, Elite Care had separate Facebook pages for each of its emergency centers, which diminished the company’s reach. By merging the locations under a single, branded Facebook page, we dramatically improved referrals and likes. We believe results must be proven through data. 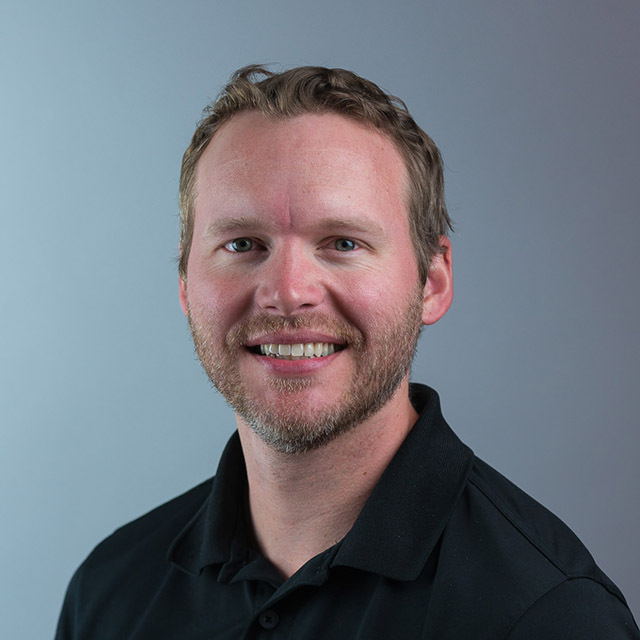 To gather this data, goals must be set, and all design and functionality updates must be implemented in concert with tracking systems to ensure effectiveness. 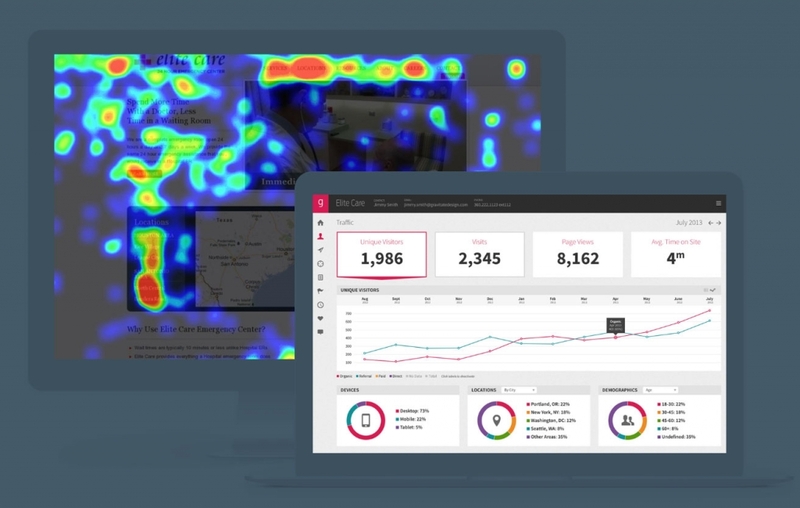 Data is then analyzed within our proprietary client dashboard and through third-party tools to produce informed, actionable strategies that build off experience. Clients are also able to log in to their dashboard at any time to keep up with traffic, conversions, and other website analytics. Content marketing is only effective if it reaches the right audience. 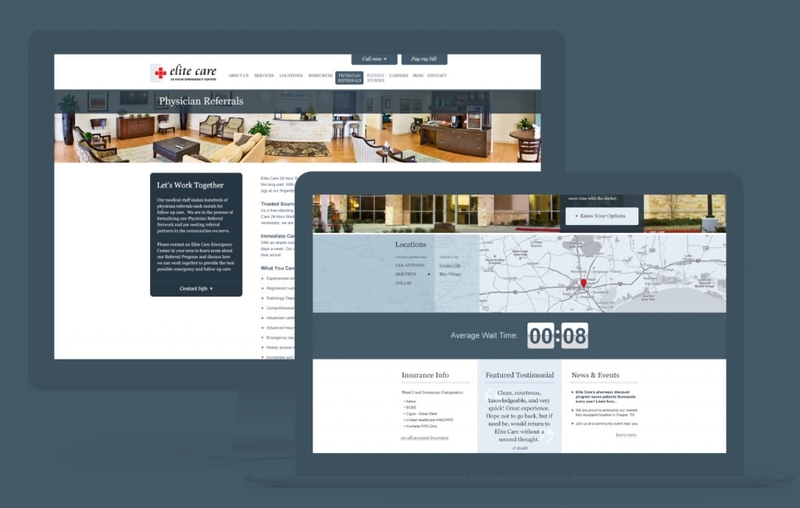 We not only created and optimized local listings upon website launch, but we continued to work with Elite Care as they opened locations and spread into new markets across Dallas, Houston, and San Antonio. Through initial and ongoing local listing optimization we ensure each new location hits the search engines running and Elite Care continues to grow its authority and brand awareness throughout Texas. As mobile browsing continues to eclipse desktop surfing, it becomes increasingly apparent that building specific apps for the major mobile platforms is an arduous and expensive undertaking. Why not build a website once and have it work seamlessly across thousands of different screen sizes—from a smartphone to a 27” monitor? 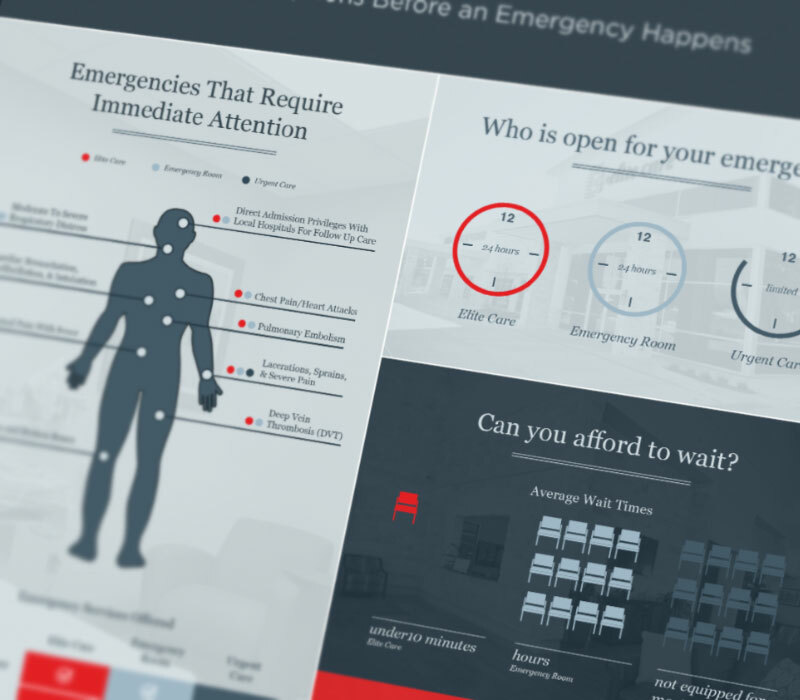 Because many of Elite Care’s patients find a local emergency center on their mobile devices, it was imperative to scale the site down to accommodate these devices without sacrificing design or functionality—allowing easy reading and navigation during a stressful situation. Throughout our ongoing partnership with Elite Care, Gravitate has increased organic search traffic by nearly 300 percent, lowered its cost per conversion by over $7, secured over one hundred rankings for keyword terms on page one of Google’s search results, and increased conversion rates over 40 percent—and we’re not stopping there. 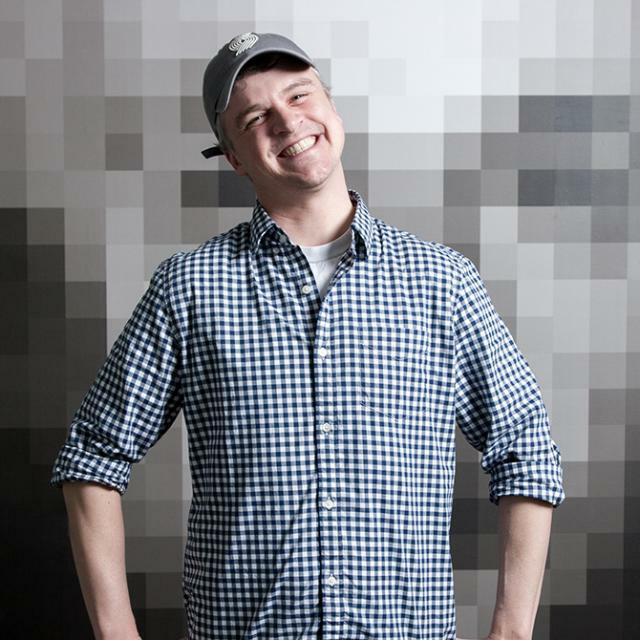 We continually improve the conversion process, optimize existing content, and release meaningful content—all vital when trying to stay relevant in the fast-moving online world.